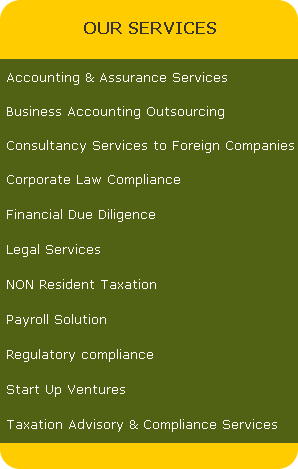 We Provide complete payroll solutions that are tailored to meet your company’s specific needs. Preparation of the monthly payroll based on the inputs received from organization. The same would include all statutory and other relevant deductions as required. We ensure deductions of all relevant amounts and as per applicable statutory laws like Income Tax, Provident Fund etc. Annual Statutory Compliance Services- Investment Proof Verification, 4 quarter eTDS returns , Digital Form 16, 12BA and Form 24…(Yearly). We Make Payroll Simple. We design and develop payroll and tax solutions for your employees, with our Payroll service, we deposit payroll taxes, plus file your quarterly and year-end returns. "RKSA" assumes responsibility for the accuracy and timeliness of all deposits and returns AND We are always available when you need us.